Good digestion is fundamental for natural health. A normal, fully intact, and healthy digestive system is what absorbs nutrients from your diet that improves your health. As the father of natural health, John Harvey Kellogg wrote long ago, "It is not what one eats that nourishes him, but what he digests." Think about it. If you are unable to properly breakdown, digest, and absorb the nutrients from what you eat then you are NOT going to make very much progress towards a state of wellness, when you do NOT even possess health to begin with. This is not a cavalier attempt to throw out the baby with the bathwater, but merely acknowledgment that all of natural health has a starting point, which is a normal, fully intact, and healthy digestive system. In a classic chicken or the egg controversy, when someone asks you which should come first in natural health programs: Exercise or Eating Healthy Whole foods the correct answer should be neither. In all health issues, good digestion always comes first. Good digestion is what extracts the nutrients from the food that you eat which in turn is what makes good health possible. 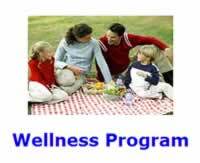 Good health in turn enables natural health advocates to develop wellness. Therefore, what are we talking about here? Poor digestion covers everything from digestive problems like Irritable Bowel Syndrome (IBS), stomach ulcers, and leaky gut syndrome; to food allergies and autoimmune diseases. In natural health, a healthy state of digestion must be preserved at all costs. The good news is that healthy digestion comes naturally, and is rather hard to knock out of action. Those experiencing good health do NOT have to put much thought at all into maintaining a healthy state of digestion beyond natural detoxification, drinking ONLY healthy beverages, cutting out all sources of added sugar, eating a healthy whole food diet, and engage in natural juicing. In addition, healthy people can further safeguard their digestion by periodically consuming high-quality fermented foods, such as yogurt or sauerkraut, purchased from a local health food store. In most natural health circles, the blame is placed squarely upon your immune system, with the gut being identified as the seat of all immunity, whereas on the Natural Health Perspective it is merely viewed as how your body works. For all animal forms of life, nutrients are delivered to the body through the digestive tract. Hence, with an abnormal or diseased digestive system, a state of health is NOT even possible. Physiological roles played by your Gut. Digestion of Food - Digestion continues in the intestines, where more nutrients are absorbed, including all the oil soluble nutrients, like vitamins D, A, and B-12. Think about it. For those with digestive problems, if your body is unable to absorb properly vitamin D supplements then you will NOT be able to boost your natural immunity without a great deal of effort. Hence, in a manner of speaking, a healthy gut is indeed the key to good health for those unlucky enough to suffer from poor digestive issues. Working on their gut will ultimately even improve their immunity. But for most of us with good healthy digestion, working on our gut flora would be a non-issue, which will not improve our natural immunity. Currently, the data is simply NOT there to make any effective recommendations to strengthen your immune system by supplementing with probiotics. There are more than 400 different known strains of probiotic bacteria. Which bacteria strains would improve your immunity, let alone which probiotic products work are simply unknown. For the one in five persons reported to be suffering from chronic poor digestion and ill health, such news is not going to offer them much comfort. There are any number of ways that these people might have developed poor digestion during the course of their lifetime. John Harvey Kellogg was of the opinion that eating spoiled meat was primarily to be blamed. Of course, the modern perspective is that antibiotics are often touted as the primary cause of abnormal gut flora that can potentially lead to digestive problems, such as leaky gut syndrome. The point being that those people experiencing digestive problems should seek out good professional help, as soon as possible. For those insisting upon self-treatment, natural therapies for treating digestive problems are available.